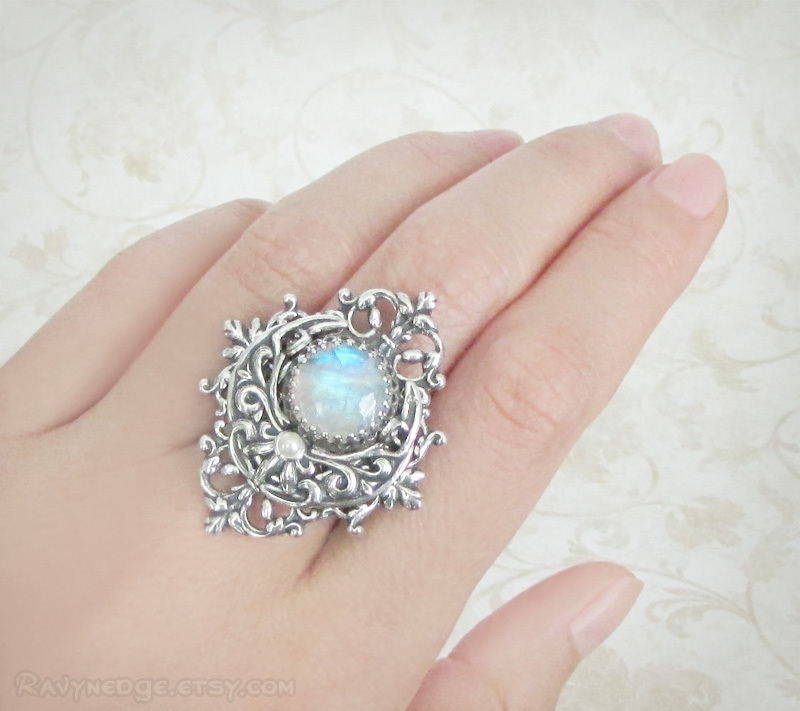 Luna's Blessing Statement Ring - Rainbow Moonstone and Silver Crescent Moon Cocktail Ring by RavynEdge. 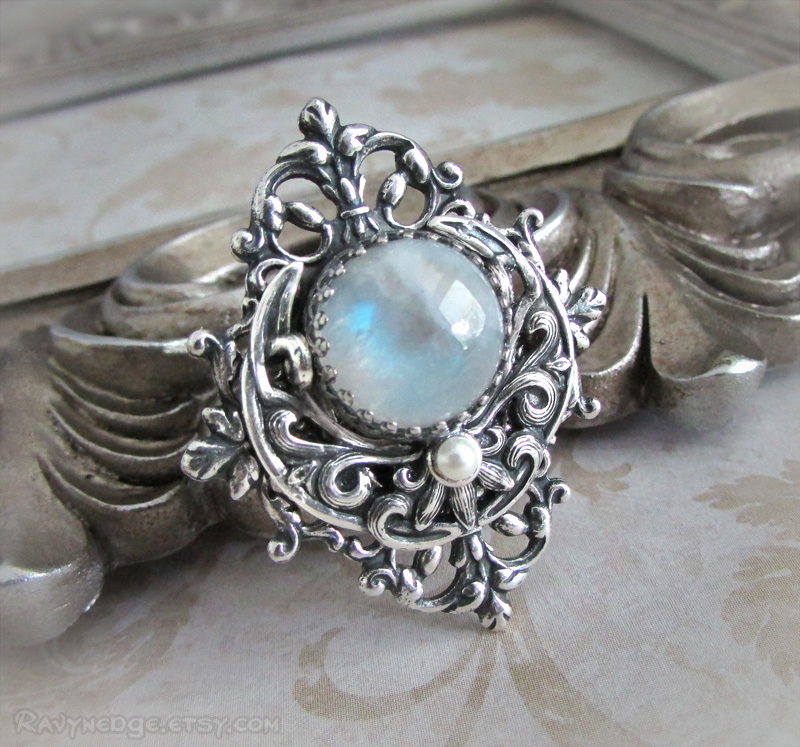 Luna's Blessing showcases a mesmerizing rainbow moonstone cradled by a crescent moon. The metal is silver plated brass with an aged finish to give that wonderfully romantic and gothic look with a vintage appeal. Whether you are flashing this baby when you reach for your cup of java at the cafe or making a toast at your best friend's wedding, your fingers will do the talking when you wear this bold crescent moon ring. This is a bold ring that measures an impressive 1.54 inches (38mm) in tall and 1.25in (32mm) wide. 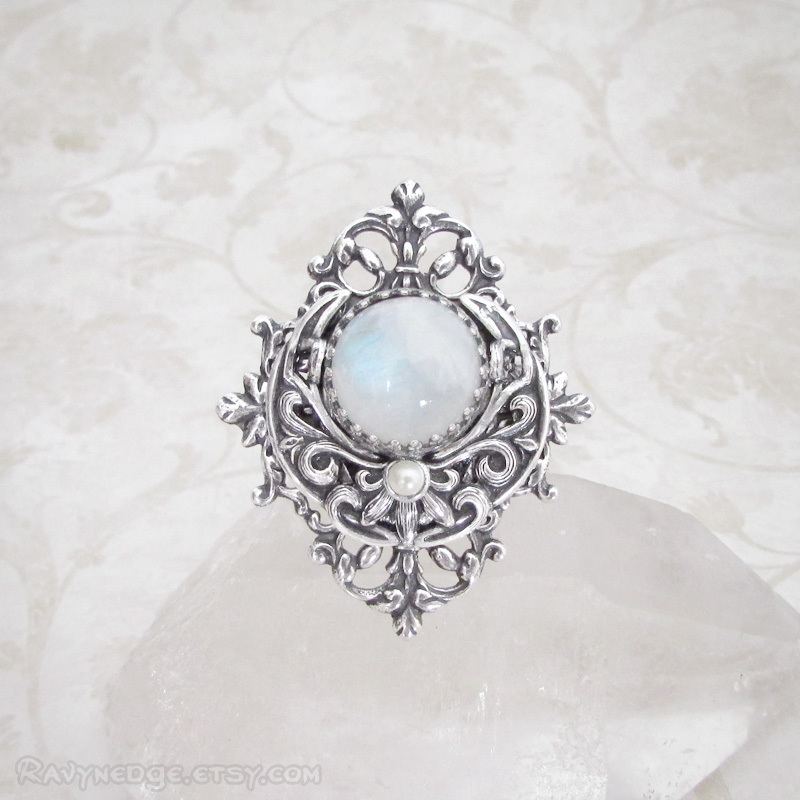 The moonstone measures 12mm across the center. 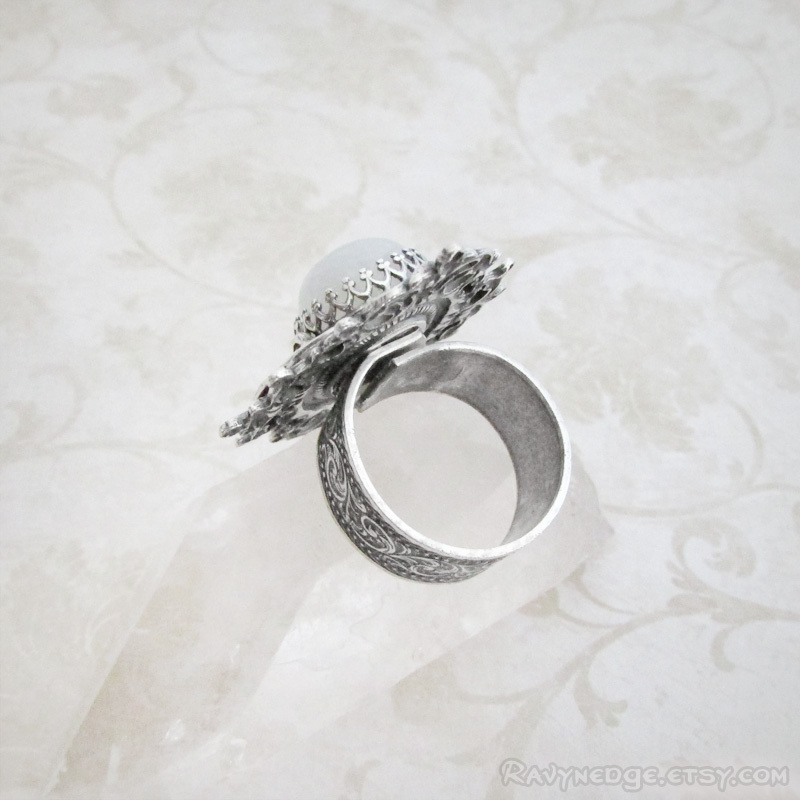 This ring has an adjustable band that adjusts under the focal and can fit most finger sizes. Sizes over 9.5 will have a gap under the focal. If you need a larger size, contact me for options. 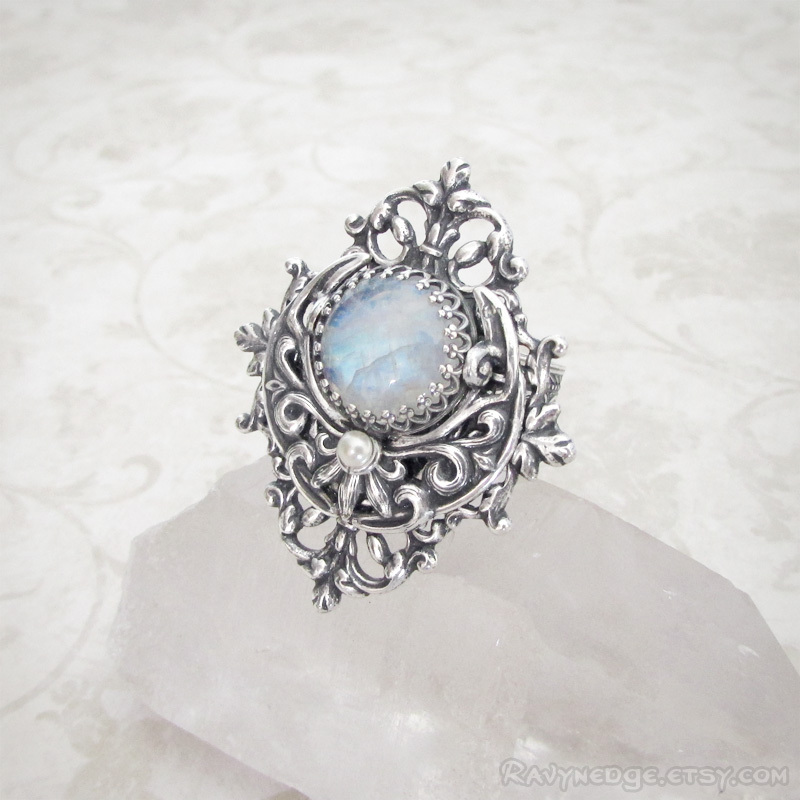 Please Note: The gemstone used in this ring is a natural stone. There may be inclusions or imperfections within the stone, but that is what makes each one-of-a-kind unique.